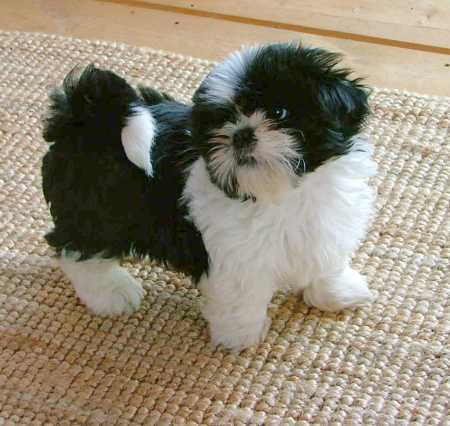 The American Kennel Club recognises eight official Shih Tzu coat colors. These are black, white, blue, liver, gold, silver, red and brindle. 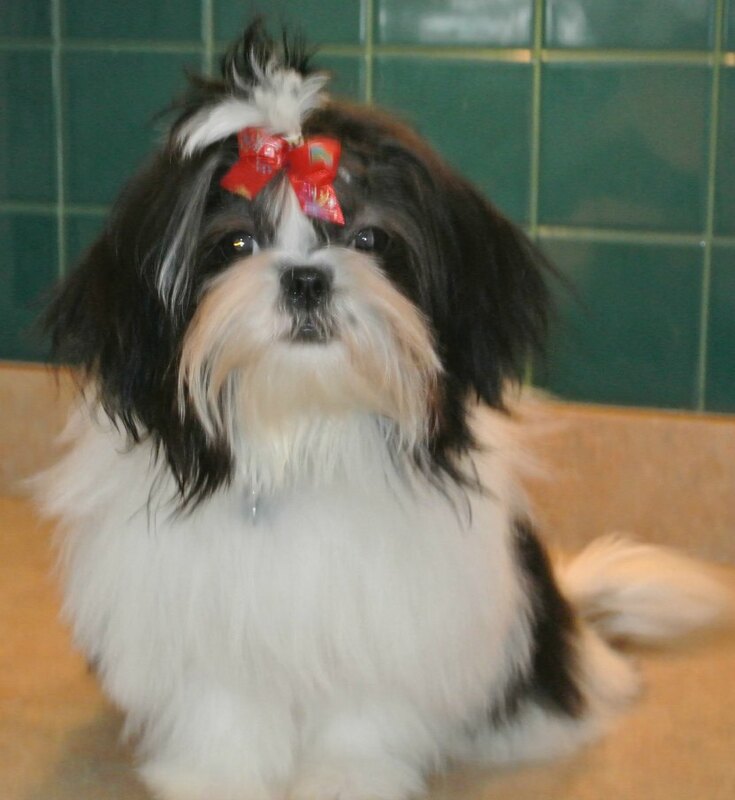 Within these colors, there can be a wide range of combinations and markings, making each Shih Tzu coat beautifully unique. In this article, we'll look at one of the most easily recognisable color combinations – black and white. 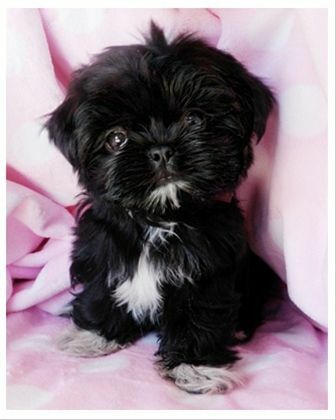 In fact, while there are a limited number of officially recognised color combinations – and black and white is among the most popular – there are countless varieties of patterns, and every single particoloured Shih Tzu is different. The black and white coat color combination is particularly striking and, as these pictures show, includes many different kinds of markings. 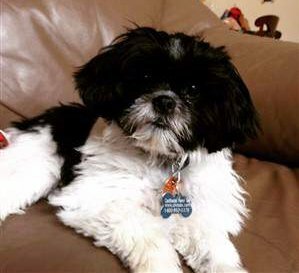 It should be noted that black and white Shih Tzus are always considered to be black dogs with white markings, even if they look more white than black. 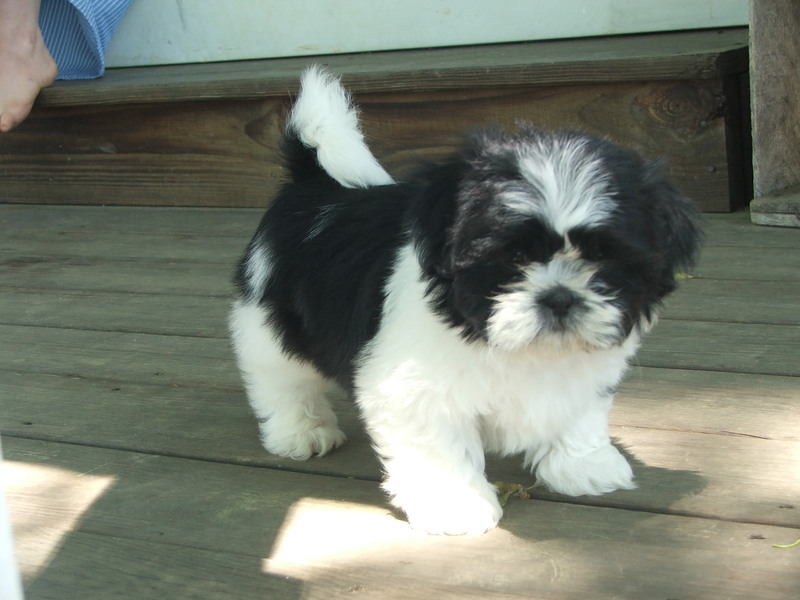 As with other coat colors, it's possible for black and white Shih Tzus to change color as they mature. However, in this case, it is only the white fur that can spread and the extent of this is genetically predetermined. When it comes to markings in Shih Tzus with coat color combinations, there are some particularly interesting and desirable features. Symmetry is highly valued, although rare. More common features that look especially good on black and white Shih Tzus include the blaze (a strip of white hair running up the face and between the eyes), the flare (an expanded blaze that covers a wider part of the face and head) and the shawl or collar (a beautiful marking, usually white, around the neck area). There's also the very striking tuxedo pattern. The name is fairly self-explanatory, but it's where a patch of white hair covers the chest (and sometimes neck, chin and feet) of an otherwise solid colored Shih Tzu, making for one very smart-looking dog!